Trusted by homeowners and businesses for more than 60 years! Since 1950, Michigan Automatic Sprinkler has been meeting the needs of customers and providing expert services for residential and commercial irrigation systems throughout the Midwest and East Coast. We have been successful at providing turn-key irrigation system solutions by remaining tuned to the needs, wants and expectations of our clients. Our company founder, Lloyd I. Blazofsky began the company with the philosophy that in order to provide a high-quality irrigation system - one needed a staff that was trained, certified and continually educated on the latest technology. His son and current owner, Neil Blazofsky, took over the business when Lloyd became ill. He immediately brought new ideas and business strategies to grow the company from one service truck to its current fleet of install crews and service technicians. Today, Michigan Automatic Sprinkler proudly operates as a 3rd generation family business. Lloyd’s grandson, and Neil’s nephew started working with the company in 2015. A graduate of Michigan State University, he has dedicated himself to learning the irrigation trade and the business both in the field and in the office. Now Neil, and his nephew, still strive to maintain Lloyd’s initial philosophy and continue to grow Michigan Automatic Sprinkler with the help of their entire team- from employees out in the field, to the employees back in the office. We know the success of Michigan Automatic Sprinkler is a true partnership between the Michigan Automatic Sprinkler team and our customers, so both are among our highest priorities. Your satisfaction is our priority- no matter what size project you have. Michigan Automatic Sprinkler has a staff of thirty-five team members. Neil Blazofsky leads our management team who supervises, oversees and coordinates our over 5,000 accounts. 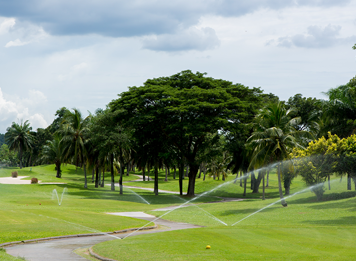 Each member of our management team brings over 20 years of irrigation experience and industry certifications. Our team is capable and willing to handle all projects – big or small.